Created Wednesday, 10 December, 2008 . 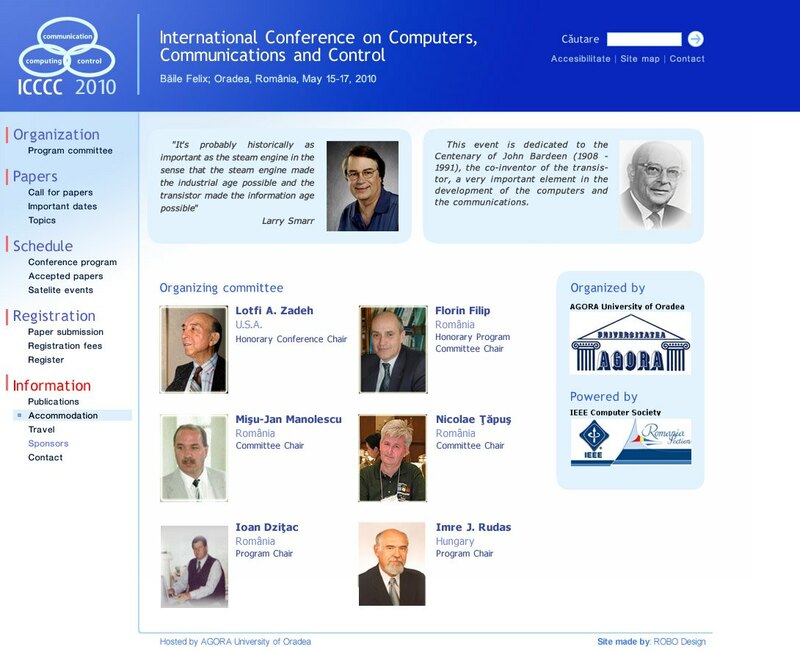 This website was done for the International Conference on Computers, Communications and Control from 2010. Tags: 2008, conferences, interfaces, technology, web sites.